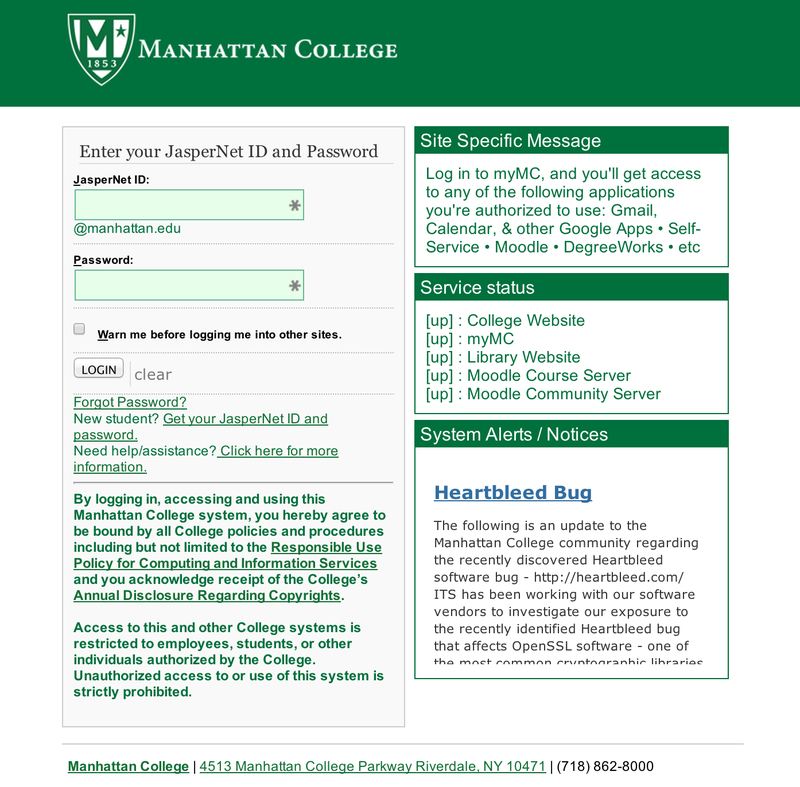 Manhattan College ITS will be rolling out an update to its JasperNet Single-Signon system today, April 21, 2014. The update consists of new service pages with enhanced functionality, running on new more robust hardware infrastructure. Your Comments and Suggestions are appreciated to help continuously evolve and improve this. As always, we invite you to TellITS. Alternatively, you may call the Client Services Help Desk @ X7973 to report any issues.